Every year we see tipsters spend the first couple of rounds of a new season trying to figure out just how good, or bad each team actually is. Sometimes we have teams providing false hope while others have slow starts, but we all know where they will be in September. This year the NRL has tried to schedule some blockbuster opening season clashes, pitting the dominant 4 teams from last season against each other in round one, and then again in round 2 for Souths and Manly. What this fixture scheduling has also meant, is that there are a lot of pretty ordinary teams playing each other in the first 2 rounds, leaving us with so many unanswered questions after 2 weeks of matches. 1. Are the Broncos finally going to take advantage? For almost their entire existence the Broncos have had a severe advantage over most of their opponents*, but because it has been mostly of their own making it hasn’t been too big of an issue. They’ve earned that position, so it’s theirs to lose. However over the last few years, they have been given a severe advantage by the people at Channel Nine who run the NRL scheduling. Over the past few seasons, the Broncos have been handed an inordinate number of Friday Night matches. Far more than any other team in the league. Getting a consistent 7 day turn around between matches, puts them at a significant on field advantage as well as giving them the ability to gain even more in sponsorship dollars due to the extra guaranteed television exposure. But lately they haven’t been able to take advantage of it, with only one Top 4 finish so far this decade. This year’s team though, looks to be a little less of the old fashioned, free flowing, fancy Broncos, and a much tougher team that is willing to get down in the dirt and fight for their points – a quality needed to be a top team in this competition. With only matches against last year’s disappointments, the Bulldogs, and last year’s unlucky playoff side the Cowboys, it may seem early to jump to conclusions. But the fact that both of the Broncos’ opponents so far managed to win their other match this season shows that they aren’t pushovers. They should be there or thereabouts come September. 2. 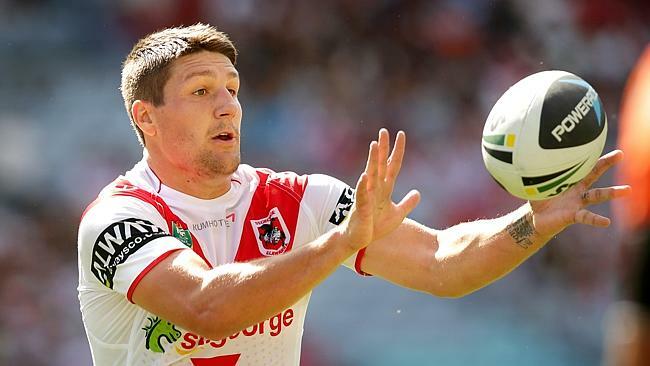 Is Gareth Widdop really the second coming of Jesus or are Dragons fans just getting a little excited? To have a St George Illawarra fan tell it to you, you would assume that Widdop had single handedly won the first two games of the season against last year’s grand finalists, scoring every point, and has proven himself as the next immortal. In reality the Dragons played a poor Tigers team and a worse Warriors team, Widdop did well with the boot in general play and when kicking for goal (something the Dragons have needed admittedly), but is yet to score one of their 12 tries, and while he has shown the confidence to drive the team around the park, the Dragons haven’t been tested for more than a total of about 45 minutes combined in their 2 first matches. For the record, in those 45 minutes that they were tested, they were outscored 30-12. Regardless, they look a better side this year than last. Though that is no great achievement. 3. What is the answer for the South Sydney halves? I have to admit, I’m not sure what the thinking is in Redfern when it comes to the halves combination. After falling one match short for the last 2 seasons, Souths had a dilemma on their hands. With boom young pivot Luke Keary coming through and demanding first grade football with his outstanding form, the Bunnies had to find a way to fit him into the side with both John Sutton and Adam Reynolds. The move that was decided was for Sutton – a mammoth for a number 6 – to move into lock where he could use his ball skills and his size, hopefully to good effect. The upside of the move was not only that it would give Keary his deserved starting spot in the side, but would also allow Reynolds (only just starting his third year in first grade remember) to build up a combination with him that could take Souths into the future. The downside would be that after having the best season of his career, Sutton would be moved to a new position, in an already loaded forward pack. I personally wasn’t sold that having a total of 4 years NRL experience (come finals time) between the number 6 and 7 was really the move to take the Bunnies that one extra step to a Grand Final, and possibly a title, but I at least understood the thinking behind it. Then during the Auckland Nine’s disaster struck and Keary went down with a long term injury that could potentially see him out for the whole season. Where most saw the aforementioned disaster, I saw opportunity. One more season for Sutton in the backs before a transition to the forwards for next season, where the depth of the South Sydney pack would surely be tested anyway with the loss of Sam Burgess. I genuinely thought that Keary’s injury gave the Rabbitohs a much better shot at the title. For some reason, Maguire has zigged when I would have zagged. He has stuck with the plan of keeping Sutton in the 13 jersey while moving Dylan Walker from the centre’s to the less familiar spot in the halves**. It all the disadvantages of the original plan with none of the advantages. But there’s a reason that Madge gets paid the big bucks and it is because he makes the big decisions. Only time will tell who was right. Me or him***. 4. 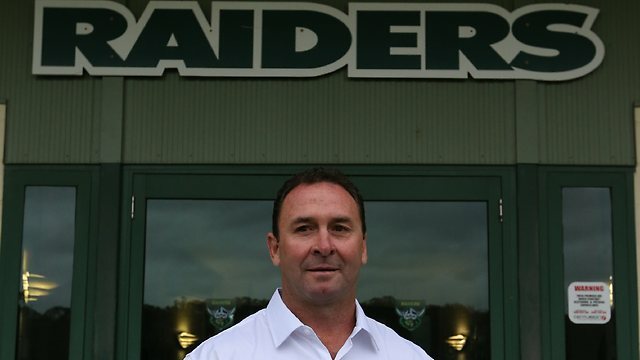 Has Ricky Stuart made an difference in Canberra or Parramatta? 5. Are the Warriors that bad? Yes they are. But it shouldn’t surprise anyone. I feel sorry for Warriors fans. Every year for a couple of months around June/July they become the team that they are capable of being. The rest of the time they are who they are. REALLY inconsistent. Poor decision making. Awful defensively. No ability to complete sets. Warriors. Last year in June and July the New Zealand side won 6 of their 7 matches and looked a real threat for the title given the opposition they were beating. Outside of those two months, their collective record was 5 wins and 12 losses. In 2012 it happened from May to mid-July where they won a less impressive 5 of 8 games. Outside of that? 3 wins and 13 losses. The year before the run was simply timed later in the season and the momentum saw them make a Grand Final that they were never any real threat of winning. As I said when they did fairly well in the Auckland Nines (at their home ground, playing a style of football that suits every one of their strengths, but still didn’t manage to make the final) I don’t expect the Warriors to be in finals contention come August. The question is, how does the media get pulled in by it year after year. People were surprised that they have looked terrible in their opening few matches, with a Coach that has proven his limitations, a squad that lacks hard workers but overflows with risk takers and a schedule that sees them travel internationally every second week. If the Warriors are to EVER be considered a real threat they need to change a lot. 6. 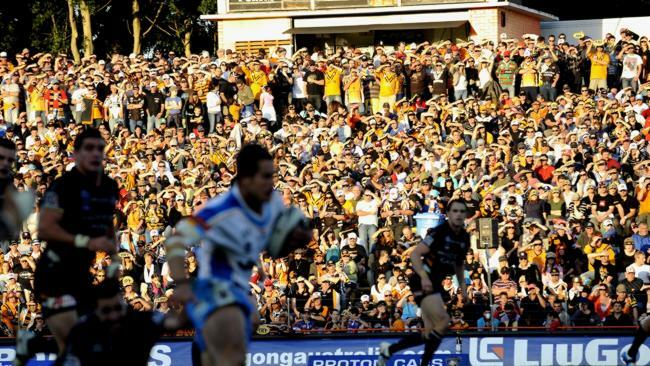 Are Penrith ready to make a ‘leap’ this year? Every few years a new team jumps to the upper echelon of teams in the competition (while another often drops out). Last year the top teams were clear cut. Storm, Sea Eagles, Rabbitohs and Roosters. That was the upper echelon. The Roosters made the leap last year, replacing the Bulldogs. Souths made the leap the year before. Melbourne and Manly have been up there for a long time. With very few exceptions, you have to be one of those upper echelon teams to win the competition^^. The Panthers have spent the last couple of seasons trying to build a team that can be in the upper echelon. Through giving extended playing opportunities to good local juniors and trying to specifically have the right experienced players around them they saw their long term plan begin to bear fruit with an unexpectedly respectable season last year. This year they look to have (so far) at least put their hand up to be a top 8 side. On paper they are only at one win and one loss, but the win came against Newcastle, who were one game away from the Grand Final last year, and the loss was by a single point, away, against perennial powerhouses Melbourne. But that isn’t the biggest indicator that they may be ready for the leap. It is the fact that they came out after that loss and said that it was no longer good enough to accept that they performed well but didn’t get the points. That attitude could see them ready to join the competitions elite a little earlier than anybody expected. 7. Will the Tigers’ kids get them to finals or the spoon? *Having all of Brisbane to themselves, high membership numbers, money etc. ** He has played in the halves at other levels of the game, but the truth is, that is not the same, and he seems a stop gap half at best, but a good quality centre. ***Spoiler alert, it’ll be him. ^Interestingly, the same thing has happened with NSW. They went from almost winning before Stuart coached them, to almost winning while he coached them, to almost winning after he left. ^^Tigers in 2005 are a team to defy the odds. They did finish 4th that season, but it was on the back of a long winning streak that saw them still only just grab a top 4 spot. They finished the season on fire but were not a ‘top echelon team’ that year.